By Jean-François Bernier, Managing Director of Interactive Brokers Canada Inc.
2017 has been an exciting year for the Interactive Brokers Group and Interactive Brokers Canada. This year, Interactive Brokers Group continued to win accolades for its technology, low prices and extensive product offerings. Interactive Brokers Group has more than $6 billion in equity capital and serves over 457,000 clients worldwide. Year-over-year account growth has been brisk at 23%, as of September 30th. Clients reside in over 200 countries, with 63% based outside of the U.S.
IB Canada is among the most cost-effective and technologically sophisticated brokerage firms serving Canada. IB Canada provides direct market access to stocks, options, futures, forex, bonds, and ETFs from a single account in over 120 markets in 26 countries globally. In 2017, IB Canada continued its mission of providing clients with new technology tools and ways to lower their costs to maximize their returns. In the midst of price wars among competitors, the company is particularly proud of remaining one of the lowest cost brokers. Many of the new tools developed and products added are in response to client requests. The launch of our Stock Yield Enhancement Program was one major milestone for IB Canada this year. This program provides clients with the opportunity to earn additional income on fully-paid shares they own by lending those shares to IB Canada in exchange for fees short sellers are willing to pay to borrow them. The company splits fees earned with clients 50-50. Clients with US $50,000 or more held at IB Canada in any cash or margin account can participate in this program. Known as a technology innovator, Interactive Brokers Group continues to introduce and improve its technology. This year, the company enhanced its IBot, which lets clients access market and account information and place trades using simple spoken or text commands. You can ask IBot to “Buy 100 shares of IBKR”, “Plot SPY”, “Show my account margin” and more. In 2017, the company completely revamped its popular PortfolioAnalyst. This easy-to-use, free tool provides customizable reports with a variety of sophisticated performance analyses and comparisons. New this year is the ability to view the performance, balances, assets and transactions of all of your accounts on a single screen – including accounts held at other financial institutions. IB Canada prides itself on its breadth of products and continued to expand its offerings in 2017 with the addition of commission free ETFs, 222 China A Large Cap Stocks, FTSE 250 futures on ICEEU, and KOSDAQ 150 Index Futures. IB Canada has offered Registered Retirement Savings Plan and Tax Free Savings Accounts since 2014. There are several items being Beta-tested, including the new PortfolioAnalyst and a revamped Account Management system. Watch for more products and services in 2018 as the company looks for new ways to exceed clients’ expectations. Jean-François Bernier is Managing Director of Interactive Brokers Canada Inc., a subsidiary of the Interactive Brokers Group LLC, a global electronic brokerage firm. Based in IB Canada’s Montreal headquarters, Mr. Bernier oversees the company’s operations, including legal and compliance issues. 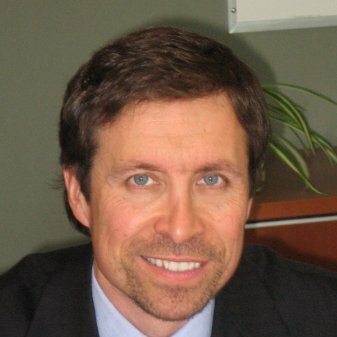 He previously served as Director of Corporate Finance for the Quebec Securities Commission. Earlier in his career, he was a securities attorney with Stikeman, Elliott, and worked as a registered representative for the Canadian investment dealer Nesbitt Burns Ltd.
To learn more about Interactive Brokers Canada, visit their website at www.interactivebrokers.ca or view our profile of Interactive Brokers Canada here.